Our company with over 20 years in the market, specializes in the production, marketing and distribution of Chlorine-Soda by-products. We manufacture products that are essential to the treatment and purification of water and which are in turn fundamental ingredients of many others that are part of modern life. In fact they are present every time we read the newspaper, use bleach, drive a car, enjoy a bath or take an aspirin. 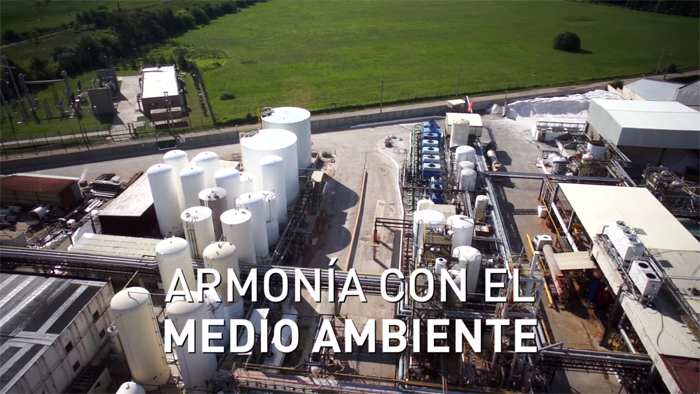 Since 1992 we have combined quality and reliability of our products with an agile and accurate distribution service which is highly dynamic and has turned us into leaders in the electrochemical industry in Argentina. Our Vision: To consolidate the growth we have achieved and confirm our leading position in the market in the combination of product/service, where customers, suppliers and staff are proud of interacting with Transclor. Our Mission: To ensure our customers have an immediate and permanent response to their requirements, and to commit ourselves to constantly improving our Quality Management System and caring about the environment. 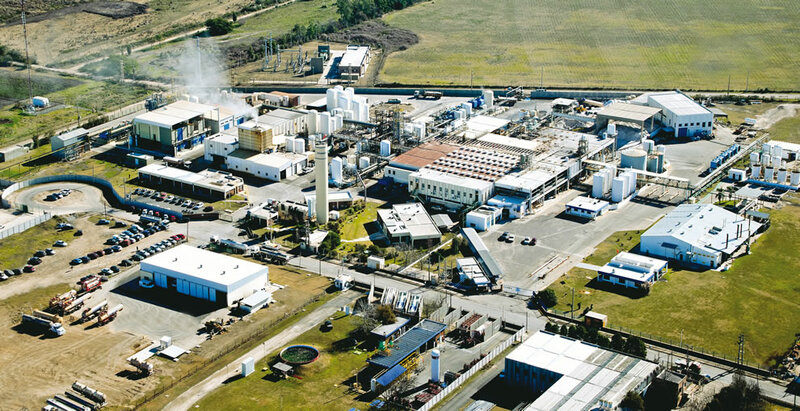 Our plant is located at the heart of Pilar Industrial Park -Buenos Aires Province. It is a strategically located site provided with good transportation access into the City of Buenos Aires and connections with important motorways into the country's interior. 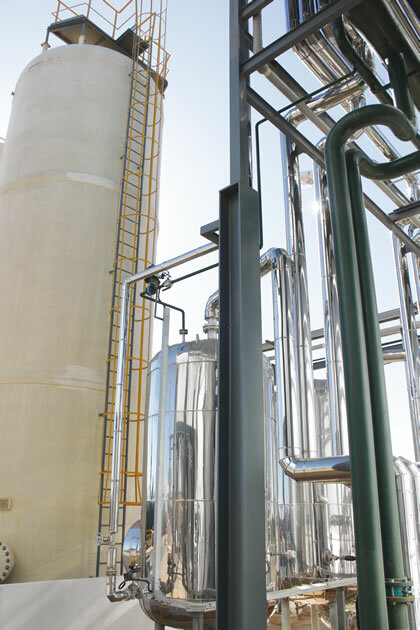 The plant is focused on the production of Chlorine-Soda. 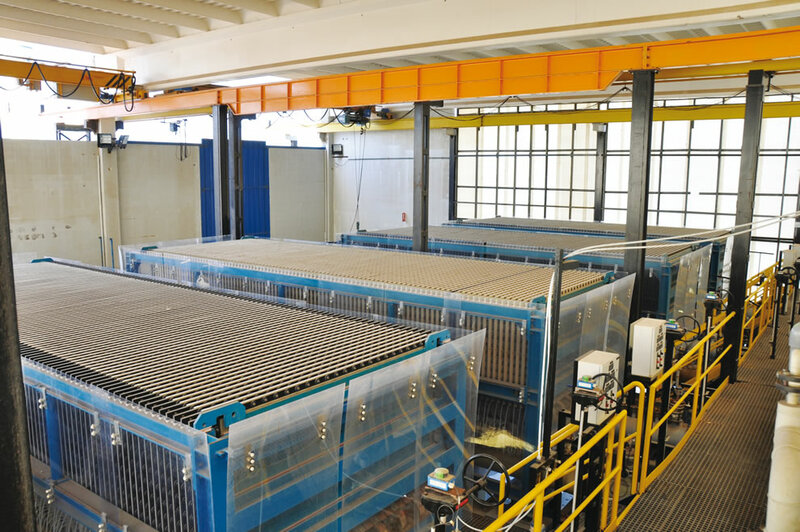 Due to its features and investments made, our plant is regarded as a model in the electrochemical industry in Argentina with a production of 100.000 tons per year. It is provided with cutting edge German technology in electrolysis units and by-product processing, using 100% membrane-based production. Specialized engineers, technicians and operators, making up a team of 200 people, carry on the rigorous processing in a non-stop production environment, certified by ISO 9001:2008 standards. Our second processing unit is located in Bernal district, Buenos Aires Province. 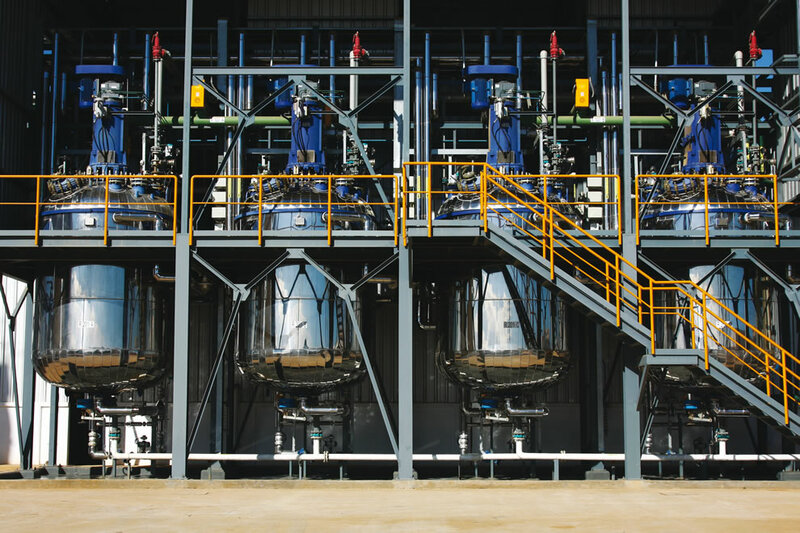 The plant is specifically focused on the production of Poly-aluminum Chloride, more commonly known as PCA. PCA is a modern water purifier. 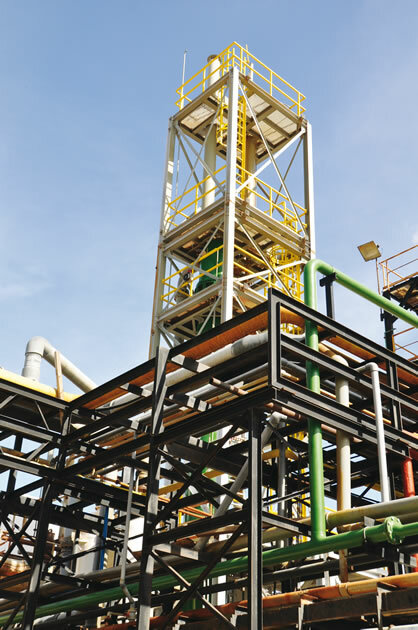 Use of PCA has expanded rapidly due to its high safety and the economy of processes. 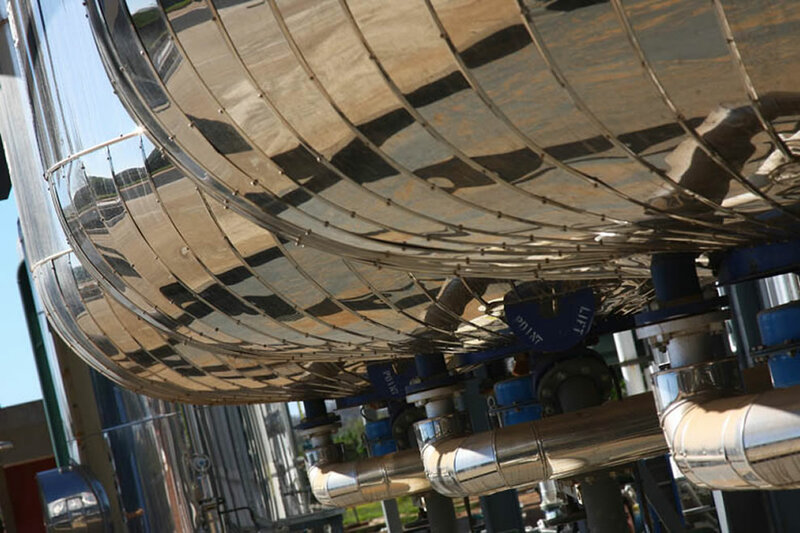 With a view to implementing PCA we have made a strong investment plan both in equipment and human resources, enabling us to supply this vital product for water treatment to all AySA water treatment plants which are currently in operation. The Chloride we produce is a vital component of more than 85% of agrochemicals. It is also part of between 40 and 75% of the manufacturing of petrochemical and pharmaceutical products respectively. Besides being used in water treatment, it is, among other things, used in the production of PVC and other plastics for domestic applications. Chlorine-based plastics are used to make intravenous drips and blood bags. Chlorine is a key and essential element without which we wouldn't be able to enjoy modern life. It is used in water treatment, as a germicide for effluent treatment, as a decolorizing agent in the textile and celluloid industry, as a metal recoverer and bleaching agent; moreover, it is fundamental in the pharmaceutical industry and in the manufacturing of PVC. It is used in the saponification, mercerization, refining, and processing of cleaning products and reaction in a great number of chemical processes. The sectors with the highest consumption are paper mills, textile, chemical, cold storage, food, agroindustry and home hygiene. It is highly valued for its pickling and di-oxidation properties. It also acts as an intermediary in the chemical synthesis and participates in processing PVC. It has a high neutralizing capacity, used by the soap industry to neutralize bleaching preparations and by the textile industry to neutralize alkalis. It is present in stamping, mercerizing and dying processes in the textile industry and in the production of glucose as an acidifier. This product is used in the textile and paper industries as a whitening agent of fabrics and paper pulps respectively. Furthermore, it is an excellent water purifier and is the raw material of liquid bleach. Transclor supplies this product to industries and bottling plants for large supermarket chains. Polyaluminum Chloride, commonly known as PCA, is a modern and effective water treatment agent. Its use has spread to all developed countries, where it has stood out due to its safety and economy of processes. Its main uses are water treatment for human consumption. It is also used in the leather and paper industries. Potassium Hydroxide, commonly known as Caustic Potash, is mainly used in the production of Potassium Carbonate for the manufacturing of special glass, including television tubes. Other uses include: food, soap, dyes and pigments. Calcium Chloride is a chemical, inorganic and mineral compound used both in the food and oil industry. We focus on not only producing excellent products but also providing a great service. In this sense, the strategic location of our main plant in Pilar is key to our accurate logistics, enabling us to add valueto our customers through rapid and efficient distribution. To this end, we have highly trained team and make use of our own important fleet of trucks, semi-trailers, tanks and cylinders especially prepared for transporting chemical products. Our distribution system is customer oriented, providing constant information with a modern satellite system which allows tracking location and route of products in real time until they get to their destination, reaching to date the provinces of Buenos Aires, Tucumán, Córdoba, San Luis, Misiones, Entre Ríos and Santa Fe. Our distinctive service focuses on the safety and quality of our service and permanent commitment as its fundamental values. 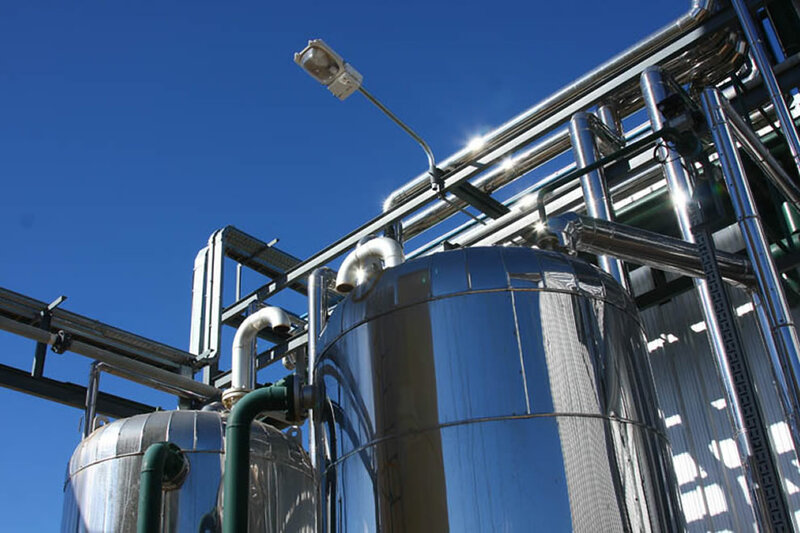 The development of products through electrochemical methods requires strict compliance with procedures with a view to ensuring their quality and people's safety. Our production, marketing and distribution processes are certified by ISO 9001:2008 standards and we are currently advancing in the implementation of ISO 17.025. We have developed a culture with quality at the basis of our actions. To this end our teams receive constant training in the context of a methodology of constant improvement which focuses on the customer. We provide our experience and resources to give a premium service, from placement of the order to product delivery, including information and constant advice. As regards environment protection, our country has strict legislation on this issue. At the same time, we make investments in a sustainable way reaching an adequate balance between productivity and environmental care which may at times be higher than international standards. 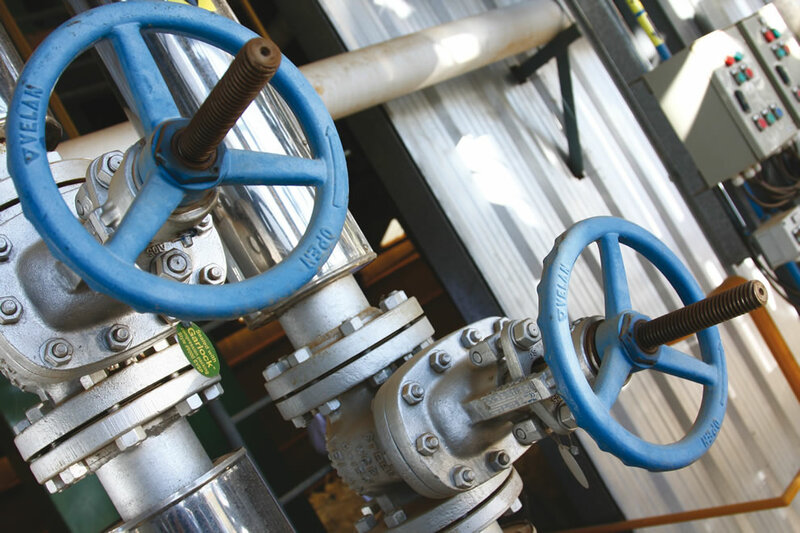 We have standard procedures which include measurement of environmental impact to ensure work conditions are within pre-established standards, effluent treatment processes and strict Safety and Hygiene industrial regulations. We are currently focusing on the process of certification of ISO 14.001:2004. 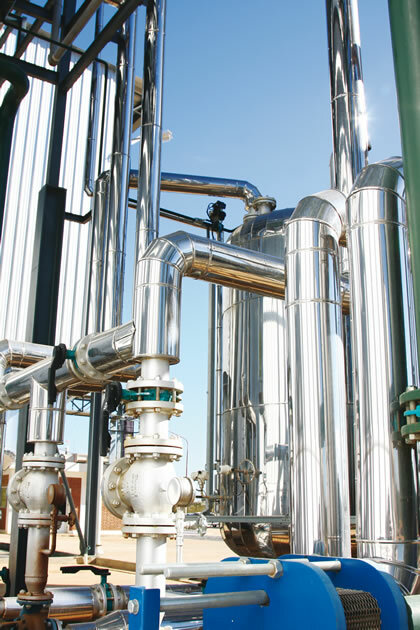 We have modern drainage systems designed to process sewage and industrial waste through our own treatment units. 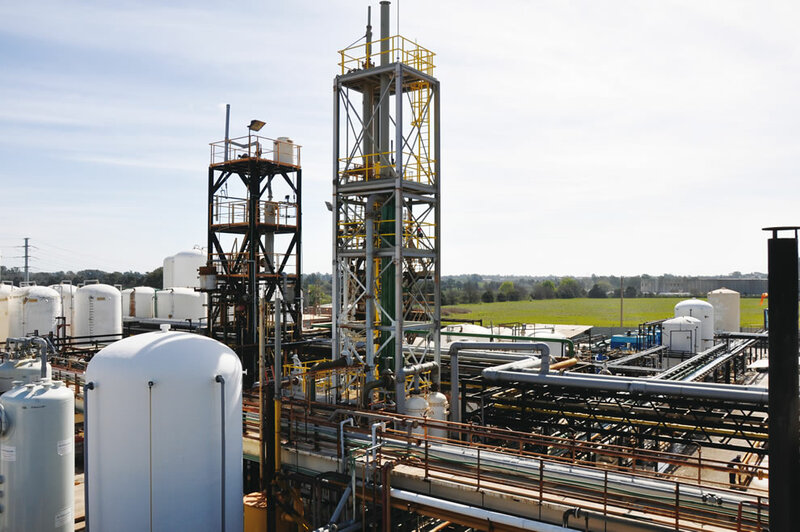 Our plant in Pilar abides by the Environment Responsible Care Program which in our country is run by the Chamber of Chemical and Petrochemical Industry (CIQyP). Rigorous treatment of the products also reaches their distribution for which we use containers developed with state-of-the-art technology so as to prevent any kind of spillage. Our premise is that the communities where we operate may develop from our growth, generating a reciprocal relationship and fostering dialog among all sectors: the State, the Community and the Enterprise. As part of our Corporate Social Responsibility Program, we annually sponsor the Contest ‘Nosotros Queremos…' whose objective is to promote engagement actions among students who are attending the last three years of secondary education. This activity is organized together with Fundación Inclusión Social. This initiative gives youngsters the opportunity to commit themselves to their local environment, acquiring experiences which connect them with values such as effort, perseverance, respect, creativity and team work. This proposal aims at having students –gathered in groups– think what they may change in their environment, set themselves concrete and viable goals and generate alliances allowing them to materialize their actions. The members of the team which develops the best proven experience are awarded a study trip. We are focused on sustainable development, i.e. in favour of the balance between economic growth, social wellbeing and the right use of natural resources and the environment. As an enterprise we are role-players in the quest for integrated solutions with the objective of succeeding in an increasingly stable and prosperous environment. From the very beginning of our activities we have supported the view that in order to have the best products we must have the best people. Following this concept we select and train highly specialized teams with strong team spirit and a high level of commitment. 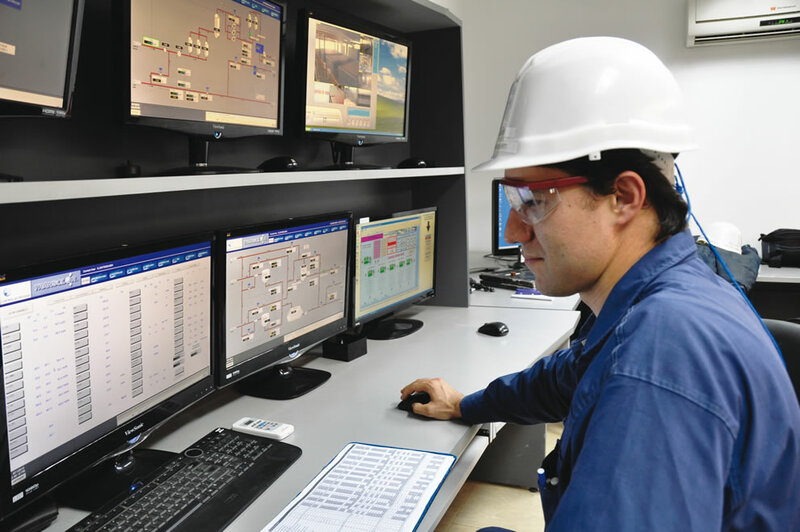 The quality of our human assets and their vocation to build the future has turned Transclor into a leading enterprise in the electrochemical industry. In terms of human resources we carry on policies which promote constant training, talent development and the right balance between personal and work life. We focus on the development of leadership skills to ensure the development of our teams. HR strategic planning runs through the whole organization. Pilar, Provincia de Buenos Aires, Argentina.